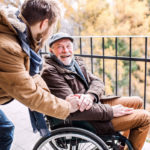 Gardening in a wheelchair provides the same benefits as traditional gardening. The smell of dirt and plants, the rustle of leaves, and the feeling of the sun on your skin all create an invigorating experience. 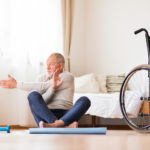 Fresh air and nature are still easy to passively enjoy from a seated position, but you may wonder if you can accomplish the activities of gardening from your chair. You may also wonder if it’s even safe. The good news is that gardening is still both possible and encouraged for people in wheelchairs. 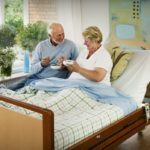 It can have many therapeutic effects, and it helps you relax while simultaneously providing exercise. The key to gardening in a wheelchair is making the proper modifications. 2 Time For Gardening Fun! First, you need to know how far you can reach in your chair. Start by reading the owner’s manual for safety information. If you have a doctor or therapist following you, ask them to help you determine your limits. If you are not currently under a physician’s care, you may already have a good idea of how far you can reach and bend. Next, move your planters or flower beds up to a height that does not cause stress on your body. You should be able to reach the plants and care for them without straining. Whether you decide to construct raised beds or simply start with a few pots placed on an elevated surface is up to you. Also, make sure you can access the plants with ease. If you have a garden with raised beds, are the paths to get to it wide enough and smooth enough for your chair? You may need to create a paved surface that leads to your gardening area. You also need enough room to turn around and to access each corner of your garden. You don’t want any plants dying because they were just out of your reach! If you don’t have the space or materials to create paths and raised beds, consider using hanging baskets on your porch, or pots placed on a low table. Containers make it easier to move each plant toward you as you care for it than having to move around to each plant. Finally, find the right gardening tools. There are many tools out there created to extend your reach or help you do tasks with less effort. You can research online or talk to someone at your local gardening store to get recommendations. 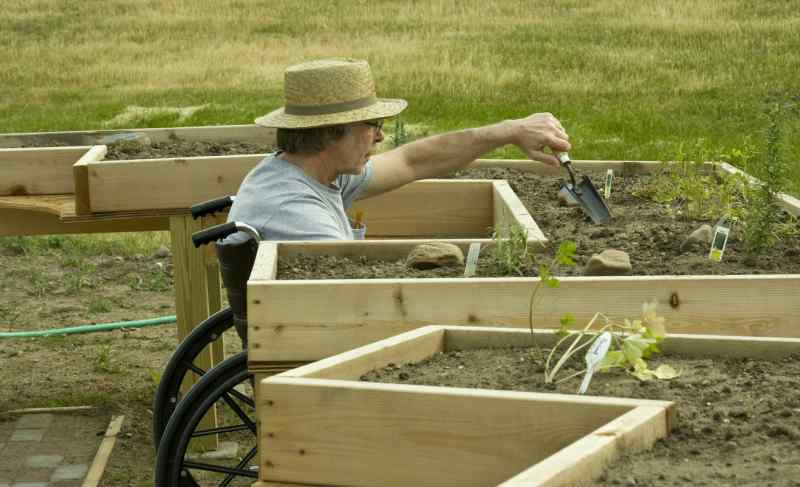 The right adaptations make gardening in a wheelchair easy and enjoyable. It’s also highly customizable so that you can tailor it to your individual capabilities. Even people with the most limited range of motion can take part with proper modifications. 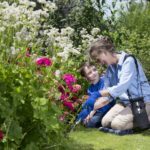 Whether you are an experienced gardener, or you are a novice, with a little preparation, there’s nothing to stop you from getting outside and enjoying nature! 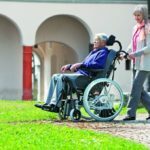 This post is based on information found in the article, Tips For Gardening In A Wheelchair, by Roll Rev.